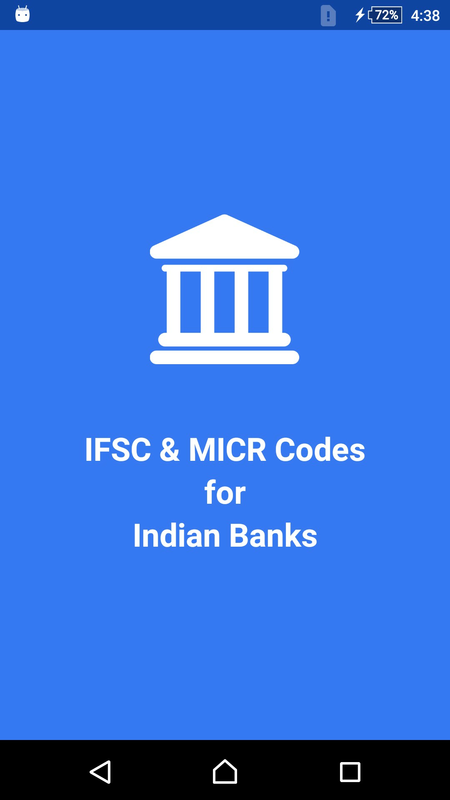 IFSC Code - Indian Banks app works without internet with 1,33,115 all indian bank information with bank name, branch, address, contact, city, state, IFSC and MICR Code. 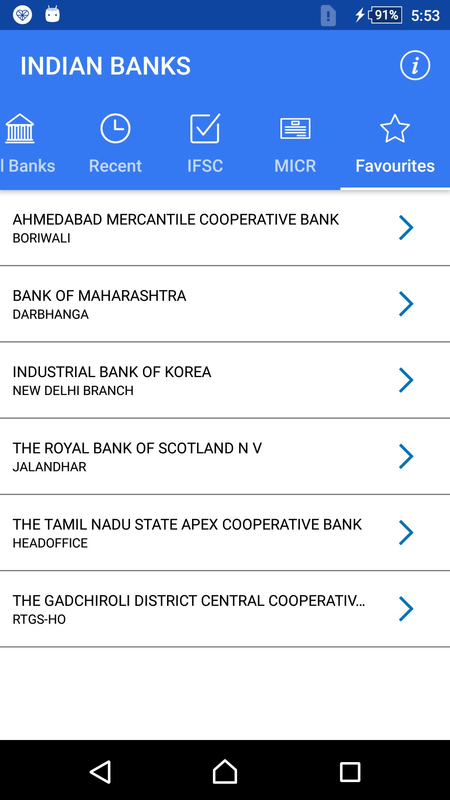 This app provide the most updated list from RBI. 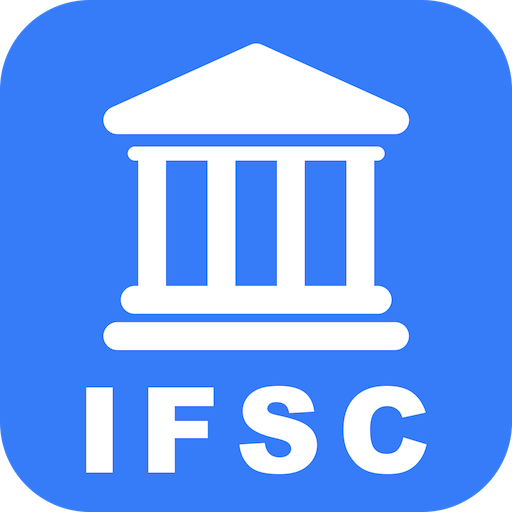 Very Useful app when you are looking to find IFSC code for online NEFT transfer. 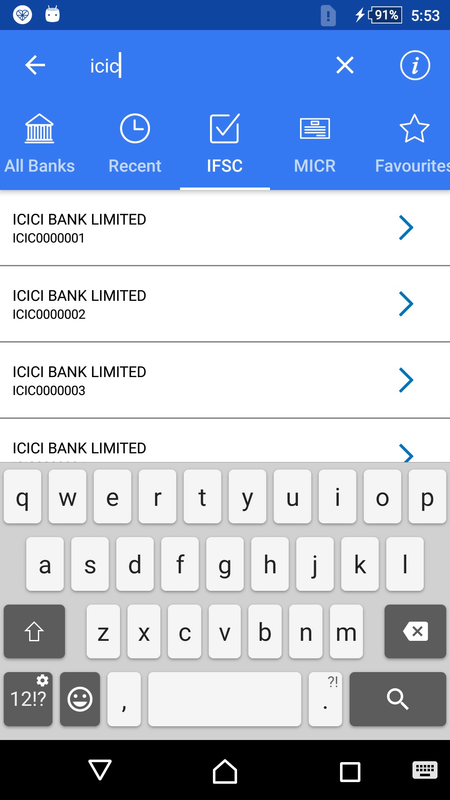 And also useful when you want to verify MICR code of your bank branch. 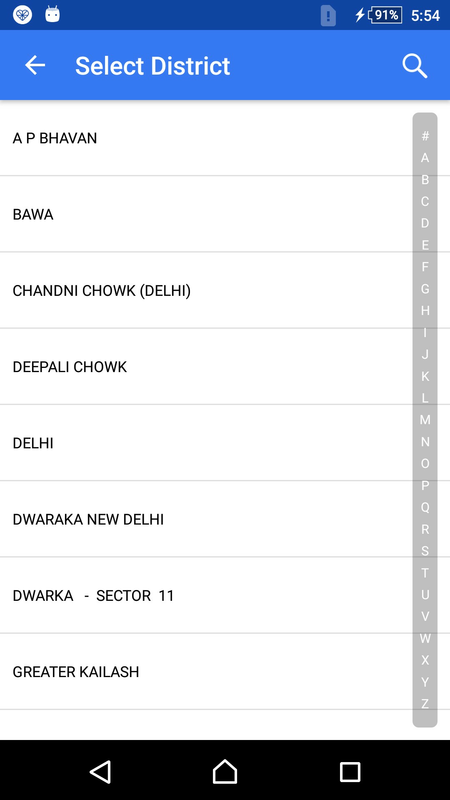 ● Show Bank information in details with all basic info. 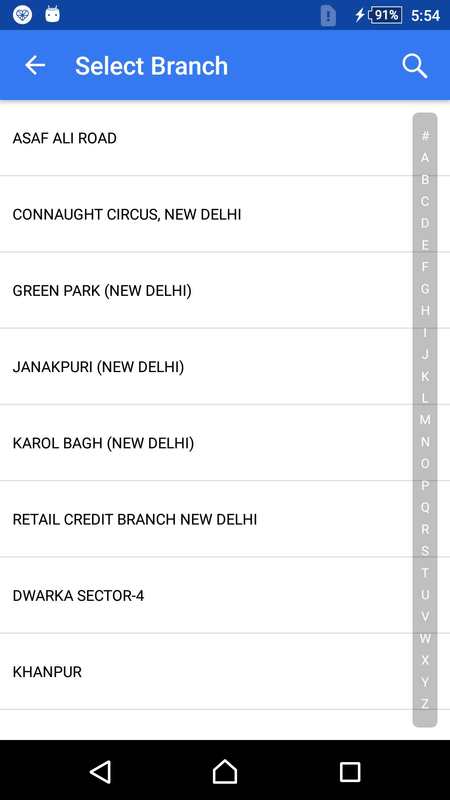 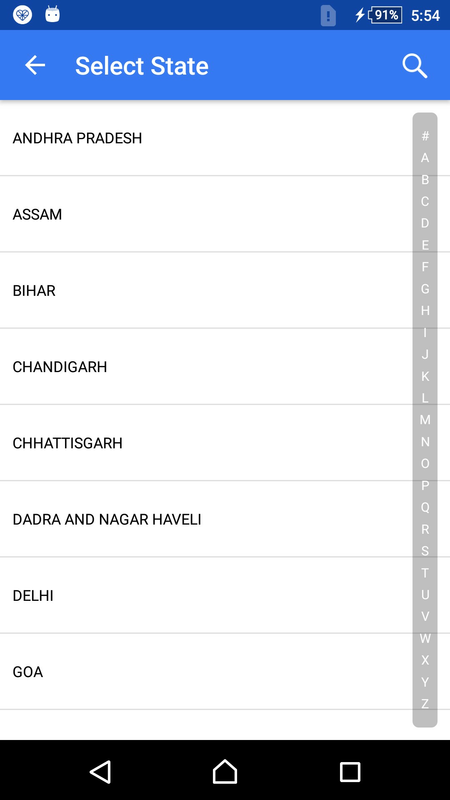 ● Easy listing of banks with the alphabetical order along with the search in the list. 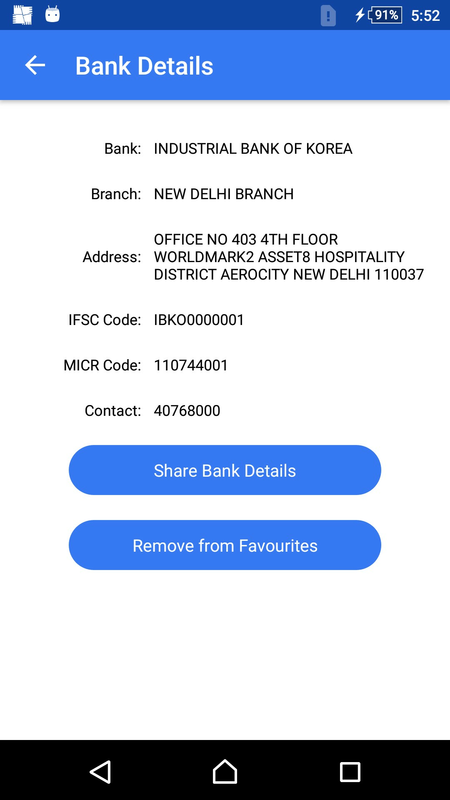 ● Share bank information with anyone via email, Facebook, Twitter or WhatsApp. 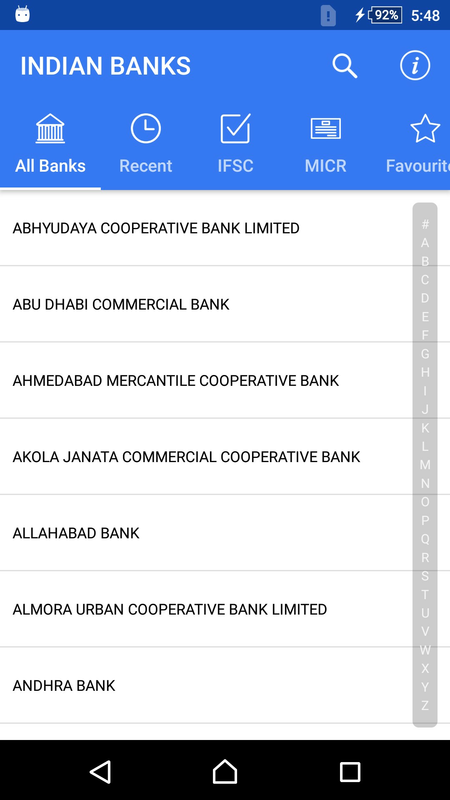 ● Store recently searched bank details in chronological order. 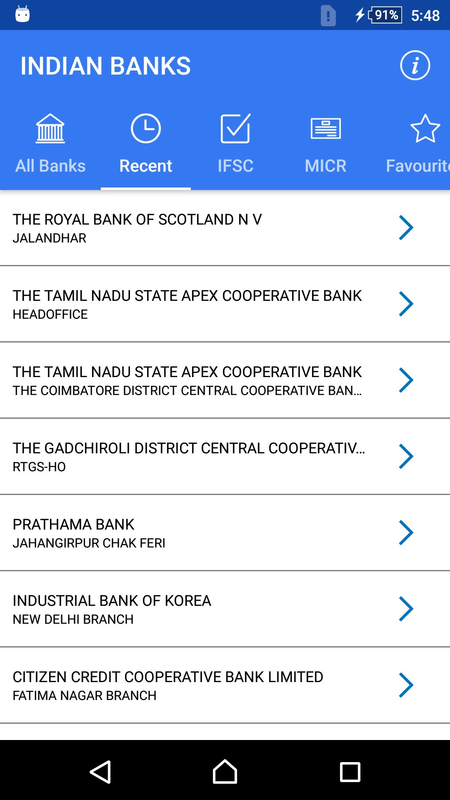 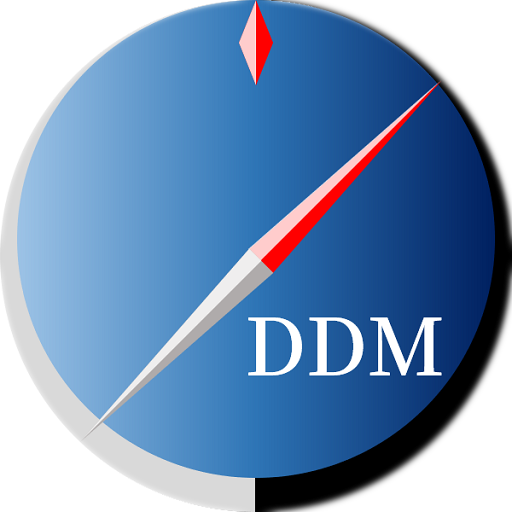 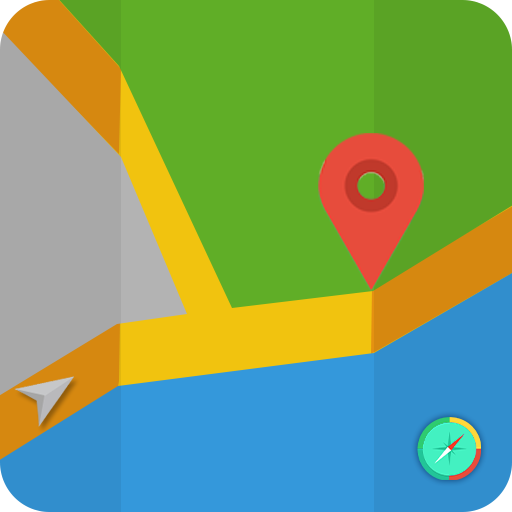 ● Easy access to check recently searched bank information. 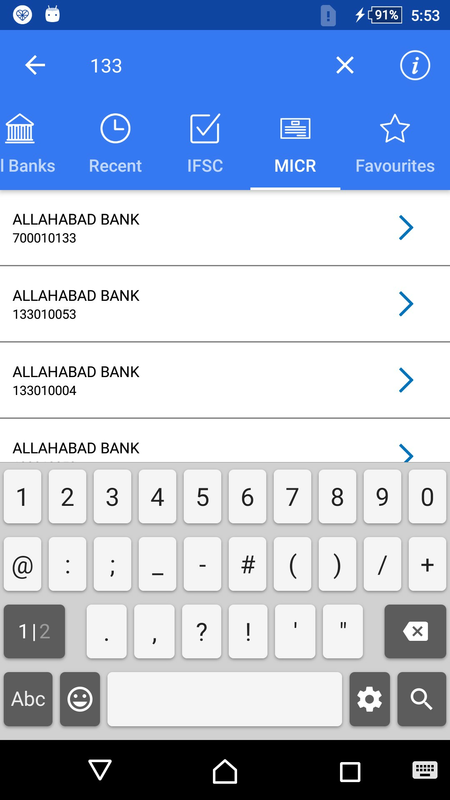 ● Add bank information to favourite list. 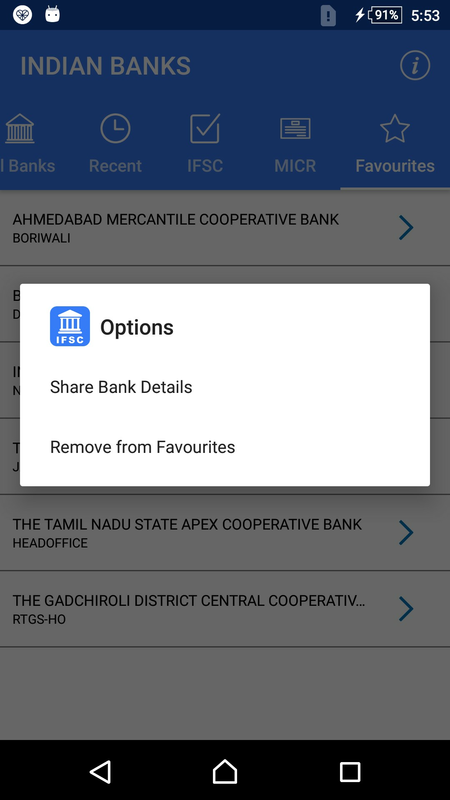 ● Easy option to delete from favourite list of banks.